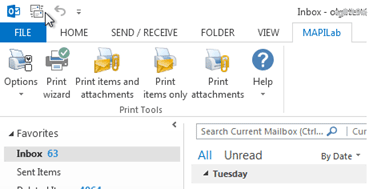 You will first have to go to Outlook Search Folders, configure settings for filtering your messages by dates… That takes too much time before you are finally ready to start printing. 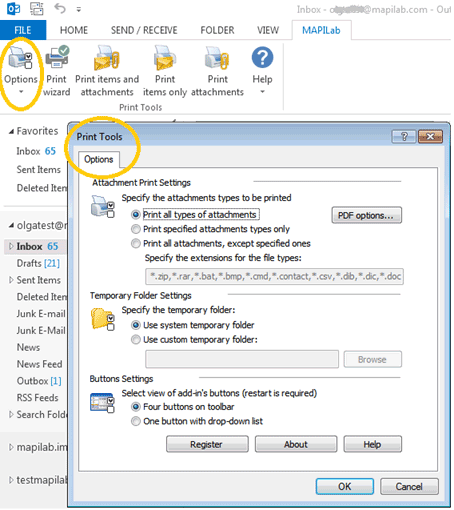 This button will help you to print attachments from your selected messages: you can configure filters by file types in Print Tools Options. So, the program can either print all your attachments from selected messages (if no filters are set), or skip specific file types based on your exclusion list, or print only those files which are added to the list for printing. 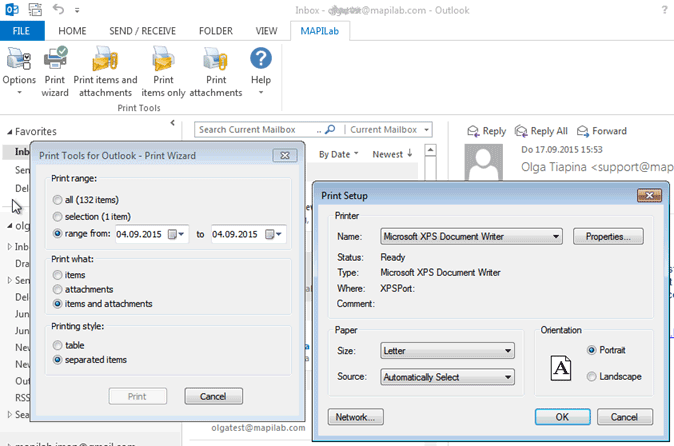 It prints both messages and attachments – and filtering for file types can be configured here as well. This option significantly extends Outlook printing options: you are getting the dialogue window with the settings – and can either apply your settings for your previously selected range of messages, or specify the range by date directly in the settings dialogue! 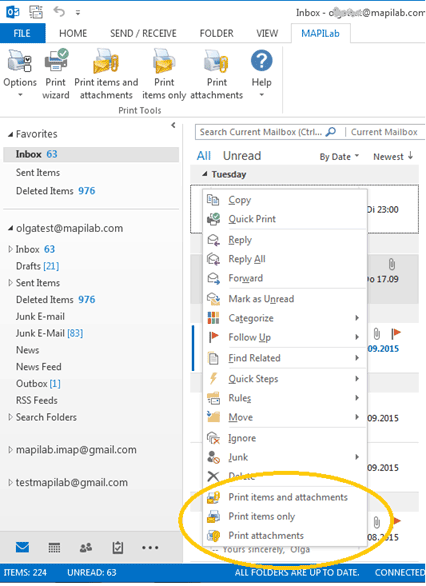 Using Outlook Search Folders, you can filter your messages as well – e.g. by subject, or sender, or key words in the message body. Once you have got the list of specific messages – you may need to print them all, and attachments as well. 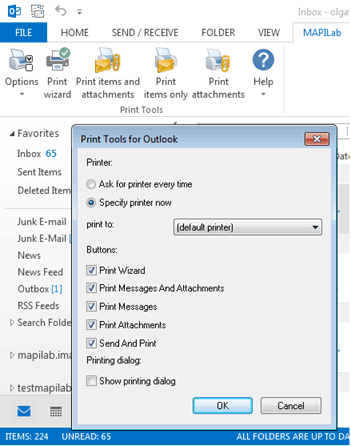 Our Print Tools for Outlook add-in will help you here too!